The foot and ankle work together to provide support and mobility. All types of athletes are at risk of sustaining foot or ankle injuries or developing an ongoing condition. Injuries to the foot or ankle while being active are common. Sports medicine specialists are experiencing new diagnostic and treatment challenges. To meet those challenges, orthopedic surgeons are responding with innovative approaches to surgery and other management techniques. In the surgical realm, arthroscopy is finding increased utilization, often with excellent results, though, in some procedures, with certain attendant risks. Rehabilitation of ankle and foot injuries in athletes. https://www.ncbi.nlm.nih.gov/pmc/articles/PMC2786815/. Epidemiology of National Collegiate Athletic Association women’s gymnastics injuries, 2009–2010 through 2013–2014. https://www.ncbi.nlm.nih.gov/pmc/articles/PMC4629945/. Prospective observational study of midtarsal joint sprain: epidemiological and ultrasonographic analysis. https://www.sciencedirect.com/science/article/pii/S1877056816300561 ? Running injuries in the participants of Ljubljana Marathon. https://www.ncbi.nlm.nih.gov/pmc/articles/PMC5639808/. Evaluating a standardized tool to explore the nature and extent of foot and ankle injuries in amateur and semi-professional footballers. https://www.ncbi.nlm.nih.gov/pmc/articles/PMC4864468/. Commentary: functional ankle instability revisited. https://www.ncbi.nlm.nih.gov/pmc/articles/PMC164386/. Prevalence of chronic ankle instability in high school and Division I athletes. https://www.ncbi.nlm.nih.gov/pubmed/24287210. Anatomy of the ankle ligaments: a pictorial essay. https://www.ncbi.nlm.nih.gov/pmc/articles/PMC2855022/. Diagnosis of ligament rupture of the ankle joint. Physical examination, arthrography, stress radiography and sonography compared in 160 patients after inversion trauma. https://www.ncbi.nlm.nih.gov/pubmed/9065068. Diagnosis, treatment and prevention of ankle sprains: an evidence-based clinical guideline. http://bjsm.bmj.com/content/46/12/854. The Cumberland Ankle Instability Tool (CAIT) in the Dutch population with and without complaints of ankle instability. https://www.ncbi.nlm.nih.gov/pmc/articles/PMC5847203/. The ANKLE TRIAL (ANKLE treatment after injuries of the ankle ligaments): what is the benefit of external support devices in the functional treatment of acute ankle sprain? : a randomised controlled trial. https://www.ncbi.nlm.nih.gov/pmc/articles/PMC3306273/. Randomized comparison of tape versus semi-rigid and versus lace-up ankle support in the treatment of acute lateral ankle ligament injury. https://www.ncbi.nlm.nih.gov/pmc/articles/PMC4823346/. Arthroscopic capsular shrinkage for treatment of chronic lateral ankle instability. https://www.ncbi.nlm.nih.gov/pmc/articles/PMC5794102/. Arthroscopic repair of ankle instability with all-soft knotless anchors. https://www.ncbi.nlm.nih.gov/pmc/articles/PMC4811205/. Consensus in chronic ankle instability: aetiology, assessment, surgical indications and place for arthroscopy. https://www.sciencedirect.com/science/article/pii/S187705681300234X. Anterior impingement syndrome in dancers OKane. https://www.ncbi.nlm.nih.gov/pmc/articles/PMC2684147/. Posterior ankle impingement syndrome: a systematic four-stage approach Yasui. https://www.ncbi.nlm.nih.gov/pmc/articles/PMC5065672/. Update on anterior ankle impingement. https://www.ncbi.nlm.nih.gov/pmc/articles/PMC3535150/. Oblique radiograph for the detection of bone spurs in anterior ankle impingement. https://www.ncbi.nlm.nih.gov/pubmed/11904689. Baxter’s foot and ankle in sports. https://www.sciencedirect.com/science/book/9780323023580. Hindfoot endoscopy for posterior ankle impingement. Surgical technique. https://www.ncbi.nlm.nih.gov/pubmed/19805591. Posterior hindfoot arthroscopy: a review. https://www.ncbi.nlm.nih.gov/pubmed/23868522. Management of osteochondral lesions of the Talar Dome Chamnanni. https://www.ncbi.nlm.nih.gov/pmc/articles/PMC5620407/. Osteochondral lesions of the talus in the athlete: up to date review. https://www.ncbi.nlm.nih.gov/pmc/articles/PMC5344864/. Osteochondral lesions of the talus: localization and morphologic data from 424 patients using a novel anatomical grid scheme. http://citeseerx.ist.psu.edu/viewdoc/download?doi=10.1.1.854.9808&rep=rep1&type=pdf. Osteochondral defects in the ankle: why painful? https://www.ncbi.nlm.nih.gov/pmc/articles/PMC2855020/. Osteochondral defects of the talus with a focus on platelet-rich plasma as a potential treatment option: a review. https://www.ncbi.nlm.nih.gov/pmc/articles/PMC5812391/. Bilateral osteochondral lesions of the talus. http://citeseerx.ist.psu.edu/viewdoc/download?doi=10.1.1.887.1419&rep=rep1&type=pdf. Prospective study on diagnostic strategies in osteochondral lesions of the talus. https://online.boneandjoint.org.uk/doi/full/10.1302/0301-620X.87B1.14702. Ankle arthroscopy. https://www.springer.com/gp/book/9783642359880. ISBN 978-3-642-35989-7. SPECT/CT in the management of osteochondral lesions of the talus. http://citeseerx.ist.psu.edu/viewdoc/download?doi=10.1.1.910.971&rep=rep1&type=pdf. Improved visualization of the 70° arthroscope in the treatment of Talar osteochondral defects. https://www.ncbi.nlm.nih.gov/pmc/articles/PMC3716212/. Tertiary osteochondral defect of the talus treated by a novel contoured metal implant. https://www.ncbi.nlm.nih.gov/pmc/articles/PMC3096766/. Achilles tendinopathy. A REVIEW OF THE CURRENT CONCEPTS OF TREATMENT. http://citeseerx.ist.psu.edu/viewdoc/download?doi=10.1.1.859.8265&rep=rep1&type=pdf. Terminology for Achilles tendon related disorders. https://www.ncbi.nlm.nih.gov/pmc/articles/PMC3076576/pdf/167_2010_Article_1374.pdf. Plantaris excision reduces pain in midportion Achilles tendinopathy even in the absence of plantaris tendinosis. https://www.ncbi.nlm.nih.gov/pmc/articles/PMC5298419/. The plantaris tendon and a potential role in mid-portion Achilles tendinopathy: an observational anatomical study. https://www.ncbi.nlm.nih.gov/pmc/articles/PMC3058219/. Treatment for insertional Achilles tendinopathy: a systematic review. https://www.ncbi.nlm.nih.gov/pubmed/23052113. Effectiveness of dry needling and high-volume image-guided injection in the management of chronic mid-portion Achilles tendinopathy in adult population: a literature review. https://www.ncbi.nlm.nih.gov/pmc/articles/PMC5403875/. Surgical treatment for midportion Achilles tendinopathy: a systematic review. https://www.ncbi.nlm.nih.gov/pmc/articles/PMC5487601/. Primary care management of plantar fasciitis. http://mds.marshall.edu/cgi/viewcontent.cgi?article=1024&context=sm_orthopaedics. Plantar fasciitis in athletes: diagnostic and treatment strategies. A systematic review. https://www.ncbi.nlm.nih.gov/pmc/articles/PMC5505577/. Extracorporeal shock wave therapy is effective in treating chronic plantar fasciitis. https://www.ncbi.nlm.nih.gov/pmc/articles/PMC5403108/. Pulsed compared to thermal radiofrequency to the medial calcaneal nerve for management of chronic refractory plantar fasciitis: a prospective comparative study. http://www.painphysicianjournal.com/current/pdf?article=MzExOA%3D%3D&journal=100. Platelet-rich plasma as a treatment for plantar fasciitis. https://www.ncbi.nlm.nih.gov/pmc/articles/PMC5682822/. Lisfranc injury of the foot: a commonly missed diagnosis. https://www.aafp.org/afp/1998/0701/p118.html. Return to training and playing after acute Lisfranc injuries in elite professional soccer and Rugby players. http://journals.sagepub.com/doi/pdf/10.1177/0363546515616814. Diagnosis and management of Lisfranc injuries and metatarsal fractures. http://citeseerx.ist.psu.edu/viewdoc/download?doi=10.1.1.919.4519&rep=rep1&type=pdf. EPIDEMIOLOGICAL STUDY ON LISFRANC INJURIES. https://www.ncbi.nlm.nih.gov/pmc/articles/PMC5474402/. Staged management of open Lisfranc injury experience from 14 patients. https://www.ncbi.nlm.nih.gov/pmc/articles/PMC5413238/. Sonographic evaluation of Lisfranc ligament injuries. https://deepblue.lib.umich.edu/bitstream/handle/2027.42/135195/jum2009283351.pdf?sequence=1&isAllowed=y. Evaluation of computed tomography post-processing images in postoperative assessment of Lisfranc injuries compared with plain radiographs. https://www.ncbi.nlm.nih.gov/pmc/articles/PMC5471664/. Stress fractures in the foot and ankle of athletes. http://www.scielo.br/scielo.php?script=sci_arttext&pid=S0104-42302014000600512&lng=en&nrm=iso&tlng=en. Stress fractures of the foot and ankle in athletes. https://www.ncbi.nlm.nih.gov/pmc/articles/PMC4212349/. Lower limb stress fractures in sport: optimising their management and outcome. https://www.ncbi.nlm.nih.gov/pmc/articles/PMC5359760/. Stress fractures in football. http://jisakos.bmj.com/content/early/2016/06/23/jisakos-2015-000010.info. Fifth metatarsal fractures among male professional footballers: a potential career-ending disease. https://www.ncbi.nlm.nih.gov/pubmed/23467966. Posterior tibial tendon endoscopic debridement for stage I and II posterior tibial tendon dysfunction. https://www.ncbi.nlm.nih.gov/pmc/articles/PMC5797905/. Posterior tibial tendon dysfunction: an overview. https://www.ncbi.nlm.nih.gov/pmc/articles/PMC5620404/. MMP-1 promoter polymorphism is associated with primary tendinopathy of the posterior tibial tendon. https://onlinelibrary.wiley.com/doi/abs/10.1002/jor.22321. Tibialis posterior tendon and deltoid and spring ligament injuries in the elite athlete. https://www.academia.edu/24565882/Tibialis_Posterior_Tendon_and_Deltoid_and_Spring_Ligament_Injuries_in_the_Elite_Athlete?auto=download. Ultrasound guidance in performing a tendoscopic surgery to treat posterior tibial tendinitis: a useful tool? https://www.ncbi.nlm.nih.gov/pmc/articles/PMC4960336/. Operative treatment of traumatic hallux valgus in elite athletes. http://journals.sagepub.com/doi/pdf/10.1177/1071100717697961. Incidence and risk factors for turf toe injuries in intercollegiate football: data from the National Collegiate Athletic Association Injury Surveillance System. http://journals.sagepub.com/doi/pdf/10.1177/1071100713514038. Case series of first metatarsophalangeal joint injuries in division 1 college athletes. https://www.ncbi.nlm.nih.gov/pmc/articles/PMC4212353/. Radiographic evaluation of plantar plate injury: an in vitro biomechanical study. http://journals.sagepub.com/doi/pdf/10.1177/1071100712464953. Turf toe anatomy, diagnosis, and treatment. https://www.ncbi.nlm.nih.gov/pmc/articles/PMC3438874/. Plantar-plate disruptions: “the severe turf-toe injury.” Three cases in contact athletes. https://www.ncbi.nlm.nih.gov/pmc/articles/PMC4560019/. 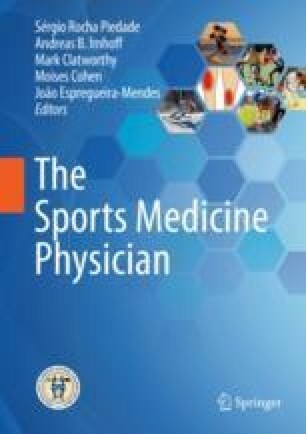 Sports team participation among US high school girls, 1999-2015. http://journals.sagepub.com/doi/pdf/10.1177/0009922817732145. Sport and ageing: a systematic review of the determinants and trends of participation in sport for older adults. https://www.ncbi.nlm.nih.gov/pmc/articles/PMC5741887/.